Whatever I do and wherever I go, I will benefit from the collective wisdom, experience, enthusiasm and vibrancy of Ottawa Centre. There is so much more to do. But if the last nine years have taught me anything, it is that Jack was right. If we are loving, hopeful and optimistic, we can and will change the world. Editor's note: Former MP Paul Dewar died on Wednesday, Feb. 6, 2019. For nine years, I had the incredible honour of representing the people of Ottawa Centre in Parliament. Every single day of those nine years was different. But whether I was advocating for federal investment to clean up the Ottawa River; demanding accountability and oversight for Afghan detainees or Syrian refugees; or attending an amazing array of events in support of terrific community organizations, I always woke up and fell asleep feeling like the luckiest person in the world. Ottawa Centre is a place of fabulous diversity and fascinating people, a neighbourhood of neighbourhoods. Through my work, I've been privileged to meet local leaders in cities across the country and around the world. I am tremendously proud to confirm that the neighbourhood associations, community groups and civil society organizations in Ottawa Centre are the best of the best. In addition to outstanding local activism, the people of Ottawa Centre consistently prove themselves the most politically engaged in Canada. 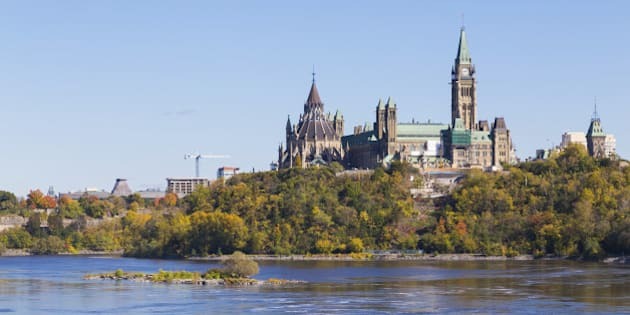 This past election was no exception, with Ottawa Centre producing the highest turnout in the country in the advance polls -- and then again overall, with a remarkable 82 per cent of eligible residents casting their ballot. Located at the heart of our federal political system with one of the most highly educated populations in the country, it's no surprise that people here follow national news and debates as close as anyone. Even so, the specificity, variety, eloquence and sheer volume of policy correspondence that came to my offices on subjects extending far beyond Ottawa Centre and my foreign affairs portfolio, was constantly and extraordinarily high -- multiples higher than is true for many other MPs. I always tried to respond and act in ways worthy of my exceptional constituents. I entered politics because I wanted to work with all of you to make a difference in our community and in our country. Nine years later, we can be proud of our accomplishments. We have a cleaner Ottawa River, a better-protected Gatineau Park and a more transparent National Capital Commission. We pushed the NCC and the city to make transit planning in the National Capital Region more community-oriented and environmentally friendly by moving buses away from residential areas, holding a community summit on cycling and getting the ball rolling on a footbridge across the canal between Old Ottawa East and the Glebe. We defended and protected our public services and the people who deliver them, exposing Conservative lies about the benefits our public servants deserve. We made a Conservative laissez-faire government regulate Bisphenol A and incandescent lightbulbs, as well as adhere to international guidelines on conflict minerals. We passed parliamentary motions supporting peace, human rights and democracy in hotspots around the world, and commemorating genocides and other mass atrocities. We prevented the use of indiscriminate cluster munitions by the Canadian military. We secured a passport for Canadian journalist Mohamed Fahmy. We obtained funding to support victims of sexual violence and the investigation and prosecution of war crimes in Libya, Iraq and Syria. We forced public parliamentary committee hearings in 2012 and 2013 on the situation in Syria, which produced unanimous recommendations urging Canada to increase humanitarian assistance and refugee resettlement -- and when the government didn't follow through, we kept pushing. I'm very proud of this record -- our record -- of meaningful achievements for our community, our country and people beyond our borders. And I'm proud to have worked for you and with you at every step of the way. Together, we've done so much. Together, we will do so much more. Of course, I will no longer be your Member of Parliament. Catherine McKenna worked very hard as a candidate and ran a great campaign, and I'm sure she'll be equally committed as our MP. I wish her all the best in the months and years to come. Meanwhile, I'm looking forward to continuing my own engagement and involvement with our community. In doing so, I will take care to apply everything I've learned from all of you over the past nine years. Whatever I do and wherever I go, I will benefit from the collective wisdom, experience, enthusiasm and vibrancy of Ottawa Centre. There is so much more to do. But if the last nine years have taught me anything, it is that Jack was right. If we are loving, hopeful and optimistic, we can and will change the world. Thank you, my friends. On continue.